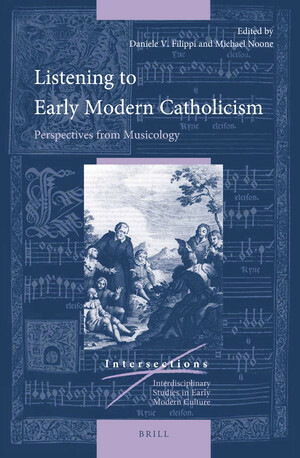 Professor Alexander Fisher contributed a chapter entitled "'Mit singen und klingen': Urban Processional Culture and the Soundscapes of Post-Reformation Germany" to In Listening to Early Modern Catholicism, edited by Daniele V. Filippi and Michael Noone, 187-203. Leiden: Brill, 2017. Prof. Fisher also presented a number of talks: "Bells and Apotropaic Magic in Reformation Germany" at the Early Modern Research Cluster, University of British Columbia, in December; "Shattering the Lightning: Bells and Magic in Reformation Germany" as part of the series Worlds of Wonder at Green College, UBC in February; and “Musicalische Friedens-Freud: The Westphalian Peace and Music in Protestant Nuremberg" at Rethinking Europe: War and Peace in the Early Modern German Lands, the triennial meeting of Frühe Neuzeit Interdiziplinär in St. Louis this March. Professor John Roeder gave a keynote address, entitled “Comparing Musical Cycles Across the World,” at the 2018 Rocky Mountain Music Scholars Conference in Tucson, Arizona. He gave two talks at the Society for Music Theory’s annual conference: “Interactions of Folk Melody and Transformational (Dis)continuities in Chen Yi’s Ba Ban” and “How to create meter and why.” Prof. Roeder also guest lectured at the Eastman Theory Colloquium at the Eastman School of Music in Rochester, New York. Assistant Professor Ève Poudrier presented a talk entitled “The Influence of Grouping and Tempo on Subjective Metricization” at the recent Auditory Perception, Cognition and Action Meeting in Vancouver this past November. Professor David Metzer presented a new talk, “Ballads: A History of Emotions in Popular Culture,” at South By Southwest (SXSW) in Austin, Texas this March. Adapted from his latest book, The Ballad in American Popular Music: From Elvis to Beyoncé, the talk explored how feelings are understood and experienced in popular culture at particular moments through the lens of soul and power ballads. Assistant Professor Claudio Vellutini received a UBC Hampton Endowment Research Fund New Faculty Award for his book project, “Entangled Histories: Opera and Cultural Networks between Vienna and the Italian States, 1815–1848.” He also published an essay, "Opera and Monuments: Verdi's Ernani in Vienna and the Construction of Dynastic Memory,” in the Cambridge Opera Journal. Dr. Brandon Konoval presented his paper “The Disenchanted Flute? Music, Max Weber, and Early Modern Science" at the Canadian Society for the History and Philosophy of Science in Toronto last May. His article "Pythagorean Pipe Dreams? Vincenzo Galilei, Marin Mersenne, and the Pneumatic Mysteries of the Pipe Organ" appeared in the February 2018 issue of Perspectives on Science.